The steam plate is a useful accessory to the apenta pans. Remember which size fits to the corresponding socket. 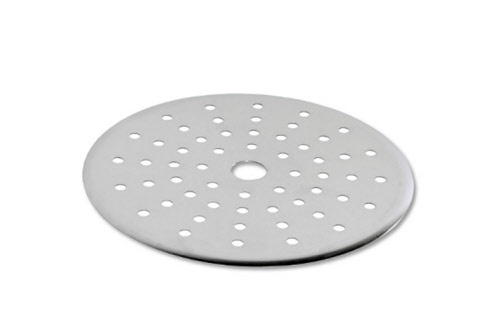 By inserting the steam plate to reach a distance between food being cooked and the water and the bottom of the pan. Since the amount of water required is below the steam plate which vitamins and minerals can not be washed because no contact with the food being cooked is created. Particularly suitable for: fish, tomatoes, asparagus, potatoes, vegetables in general. Accessories suitable for 1l pan with lid Item No . : K016 diameter 16 cm - high quality steel (stainless steel 18/10) Warranty: 25 years.